CHICAGO (WLS) -- Sheri Emmert of Sycamore, Ill., had a special place at Wrigley Field on October 21, 2015: the last seat in the upper deck of the right field line. "I always appreciate that fan every night that I look up there and see that seat is filled," Chicago Cubs Manager Joe Maddon said during the National League Championship Series. While the Cubs eventually fell to the New York Mets in a four-game sweep, the team celebrated a remarkable, and unexpected, season. So did Sheri, her husband, Dave, and two of their children, Claire, 17, and Caden, 10, perched way up high at the Friendly Confines. "I didn't realize until we got there. 'Oh my goodness, we got the last seat!'" Emmert said. The Emmerts got two seats, including the one Maddon mentioned, through the lottery and two standing-room only tickets through a friend, who happens to be a White Sox fan. The four rotated positions throughout the game. "It was a great night, except for the loss part," Emmert said. Even with the loss, it was a memorable night for Emmert. 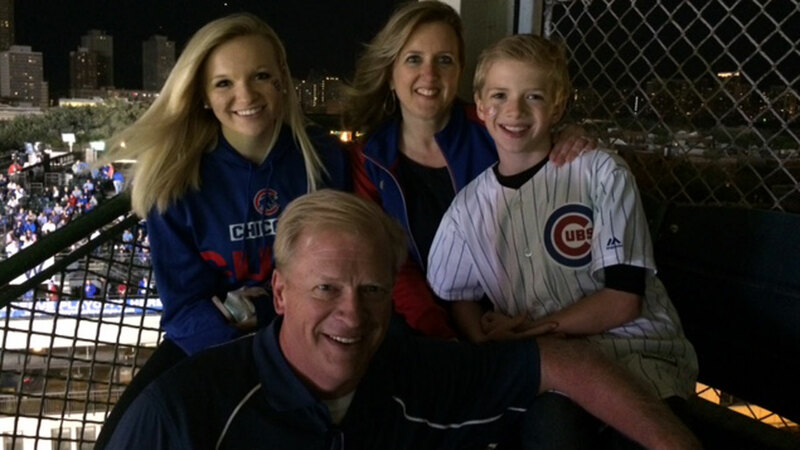 While Maddon's comment may have made her seat special, Wrigley Field has always been special to her family. "My dad passed away 11 years ago, but I was lucky enough to go to (his) very last Cubs game with him," Emmert said. Did the Chicago Cubs win then? "I don't even remember. I just remember it was with my dad," Emmert said. The Cubs may not have come out the NLCS winners in 2015, but they certainly helped make memories for a lot of fans.